Ricoh has unveiled Ricoh WG-M2, its latest waterproof action camera. Using a 204-degree wide-angle lens, the mini camera helps you capture all details outdoors or indoors. 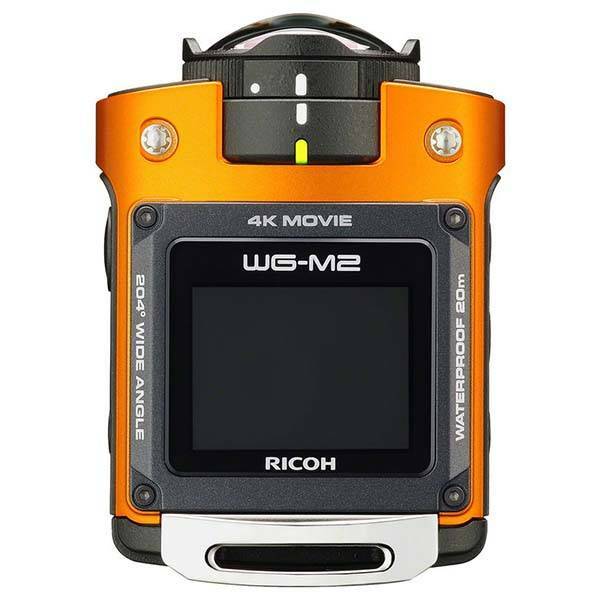 Ricoh WG-M2 is a waterproof action camera that measures 2.3 x 1.3 x 3.1 inches and weights 4.8 oz. 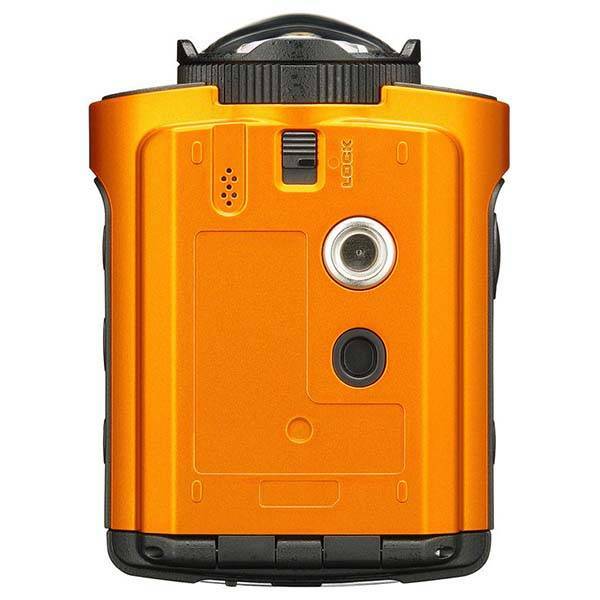 The digital camera shows off a compact and rugged design and two optional colors add some vivid and stylish feeling to the camera. Furthermore, the durable metal housing makes it shock-resistant from drops up to 6.5′, waterproof to depths of 65′ for up to two hours, and it’s operable in freezing temperature down to 14 degrees Fahrenheit. The action camera is fitted with a 1/2.3″ CMOS sensor and an ultra-wide-angle lens with 204-degree wide and 151-degree narrow angle of views in order to deliver clear and sharp 8MP stills with rich details or up to 4K video recording at 30fps, and built-in Video Capture Orientation Correction setting helps you maintain a level horizon when you rotate the mini camera. Moreover, Ricoh WG-M2 also comes with a 1.5″ LCD monitor, and large buttons provide convenient and conform able controls. Additionally, built-in WiFi lets you easily transmit photos and videos to your smartphone or tablet, and using its app, you can remotely control the action camera. Apart from that, other features also include time-lapse movie mode, high speed movie mode, and vibration assist function. 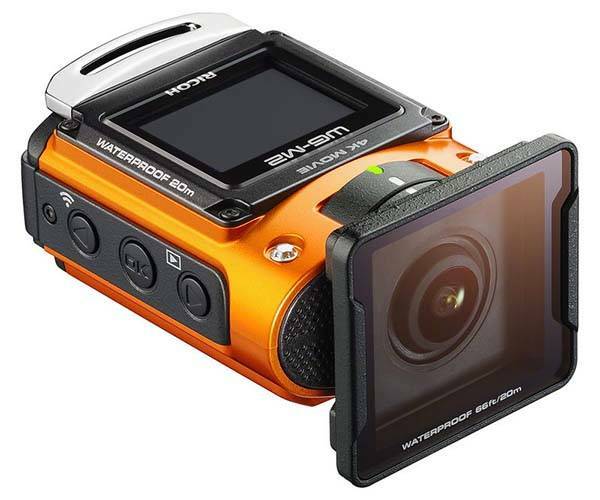 Ricoh WG-M2 action camera is priced at $296.95 USD. If you’re interested, jump to B&H for its more details. BTW, also don’t miss Samsung Gear 360 action camera and more related cool stuff by following tags.